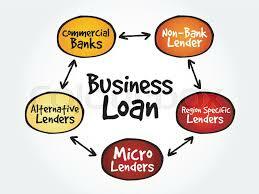 You have opted to take a business loan and are in the process of looking for a good lender. Your credit scores are good and you know the business can sustain a loan, but you are not sure about the type you want to take, secure or unsecured. What is the difference between a secured vs. unsecured loan? An asset protects secured loans while unsecured does not have asset protection. Interest rates for secured loans are lower and make the lender feel protected due to higher interest charged on the loans. To take a secured loan you need collateral. The collateral makes it easier for the lender to give you higher amounts due to lower risk. Most asset-based financing will require collateral for instance car loans, housing loans amongst others. In-as-much as you require no collateral to take an unsecured loan, you will still need to meet the lenders minimum requirements like credit ratings and income levels. The loans are easier to obtain because you do not need an asset to secure them. The lender cannot take your property in case you are unable to pay the loan. However, in some cases, the court can attach your property. If you do not have a good credit history, the lender may not approve your application. The lender can also obtain a judgment against you when you file for bankruptcy to stop the court from discharging your loan. A major disadvantage of unsecured loans is that the amount you can borrow is not much. Secured loans actually give you more leeway in how much you can borrow because an asset protects the loan. Unsecured loans are also good for short-term loans because they would otherwise be too costly because of high-interest rates. Selling an asset does not reassure the lender that he will get his full amount back, as he will be selling second-hand goods. The borrower will also have some kind of psychological pressure to pay back the debt as he fears losing his assets or getting poor credit ratings which will impact on his ability to get loans in the future. People with poor credit can access secured loans because they can use the assets to protect themselves. Until you finish paying the loan, you do not actually own the property and cannot use it as you wish including altering or sell the property until you finish paying for it. You will usually not get 100% financing as the lender will normally require a down payment. The decision to take a loan will depend on how much you want to take and what security you have to offer in the case of a secured loan. Both options explored above have some good benefits and the not so good aspects to them.